Sensors being attached to racing driver ahead of biomechanic testing. Biomechanical data collected from drivers while on the track could give racing teams a new way to optimize performance. Biomechanics is the study of movement and technique. Historically in motorsport, biomechanical data collection has been lab or simulator based. However, researchers from the University of Portsmouth and a startup in the UK have developed a technique that collects 3D movement data from drivers by attaching sensors to their body. This data can be monitored and analyzed as they are performing on the track, to investigate and optimize their biomechanics. The data collected by Motorsport Biomechanics’ system includes information about the body’s motions, muscle activity, force and pressure assessment to help understand and improve driver and rider technique. The systems took three years of R&D with researchers from the University of Portsmouth to develop. 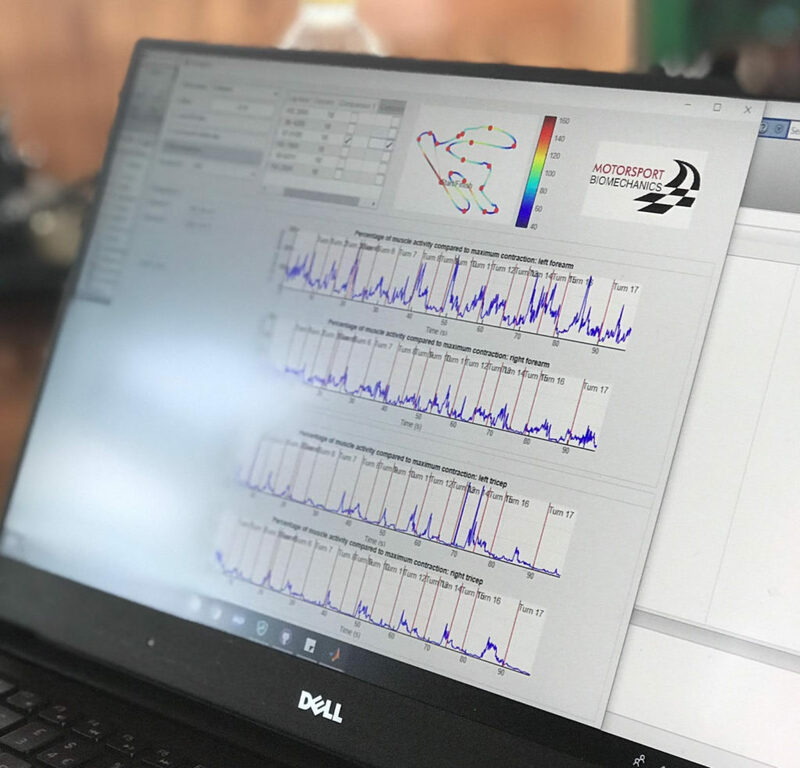 According to Motorsport Biomechanics, it is the first company in the world to offer biomechanical data for the purpose of analyzing driver performance, which has been scientifically validated with rigorous and robust methods. Company founder Michael Wakefield is an ex-professional racing driver and his wife Joanna is a Professor of Biomechanics at the University of Portsmouth. Michael Wakefield said, “Significant time and money is spent on improving the mechanical performance of racing cars and bikes. However, little attention has been given to optimizing the mechanical performance of the driver or rider while racing on the track. “For these high-performance athletes, it is crucial that their technique and muscle activity is assessed so they can respond to feedback to adjust and improve their performance race-to-race, and lap-to-lap. Wakefield has worked with Chris Mills from the University of Portsmouth, who leads the biomechanical testing and research team. Mills and his research team have developed and refined customized algorithms to process this unique data and present it in a format that is easy for the driver, rider and team to understand and analyze alongside their car telemetry data. The biomechanics analysis system was first tested in karting. Having assessed the driver’s muscle activity on the track, Mills and his team identified that the driver was barely using his left arm on right-hand corners, something that came as a complete surprise to the racing driver. Armed with this information, the racing driver adjusted his driving technique. Subsequent results showed more balanced muscle activity across the drivers left and right arms, and most importantly he improved his lap time by three-tenths of a second. One of the standout features of the system is that it can be used to determine exactly when muscle fatigue starts to occur in endurance drivers when racing. 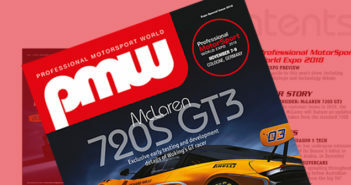 “This offers huge performance benefits to endurance racing teams and drivers across all forms of motorsport. Muscle fatigue data is also invaluable for support teams to optimize off-track training,” said Wakefield. Since the karting test, Motorsport Biomechanics has also proved the concept with F3 drivers and British Superbike riders. One of the single-seater drivers said that the data was “super interesting, definitely something to think about in order to manage fatigue better. There is definitely a lot still to take from this data into my training, but also a few methods to try while in the car”. In the future, a variety of driver biomechanics services could be offered across the motorsport world.